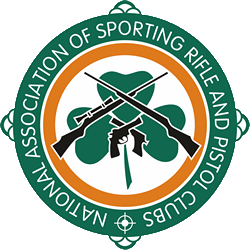 The National Association of Sporting Rifle & Pistol Clubs will hold a National Competition – including the 2018 Kiel Cup – in East Coast Shooting Club, Roundwood, Co, Wicklow on Saturday 11th & Sunday 12th August 2018. The Kiel cup is a Club team event. Teams of 4 – with best three scores aggregated – for team score. their Sils for their Kiel Cup Score (Max Score of 400.020). Current Holders of the Kiel Cup are ECSC (2017). Kiel Cup Team Scores will NOT count towards the 2018 NASRPC Club League. €10 Per Discipline, payable on the day. Note: Pre-registration is not mandatory, but recommended. Please Note: It is only permitted for an individual to choose 5 disciplines during pre-registration. Other disciplines may be entered on the day – but will not be scheduled. East Coast Shooting Club has not been made specifically wheelchair accessible. For more information, please contact the club. All NASRPC Competitions are Open Competitions. First Detail will begin at 10:00am. Uncollected Medals will be delivered to clubs at the quarterly meetings. ​ Note: ​Medals will only be awarded in classes where there are sufficient entries. All Events will count towards the 2018 NASRPC National Championships. See the NASRPC Website or contact competitions@nasrpc.ie for more details. The range is located at Diamond Hill, near Roundwood Co. Wicklow. Head south on R755 through Roundwood village until you come to the junction opposite the Church, Turn left onto R764 signposted to Ashford. Go 1.9 km until you come to a farm entrance on your right with a Beech tree avenue leading down the hill from the stone wall entrance. Go down the avenue until you see a fork to the right through a paddock. Follow this path around through 3 open gates until you come to a field with cars parked. Park here and walk down to the range buildings.